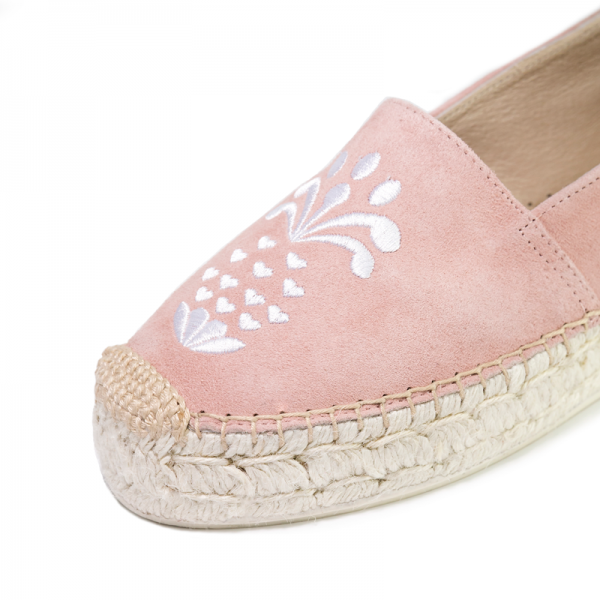 Pink soft suede espadrilles with embroidered happy pineapple are a classic. 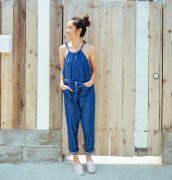 You can wear them with everything from jeans to dresses. Our shoes are designed in Los Angeles and carefully handcrafted in Spain.